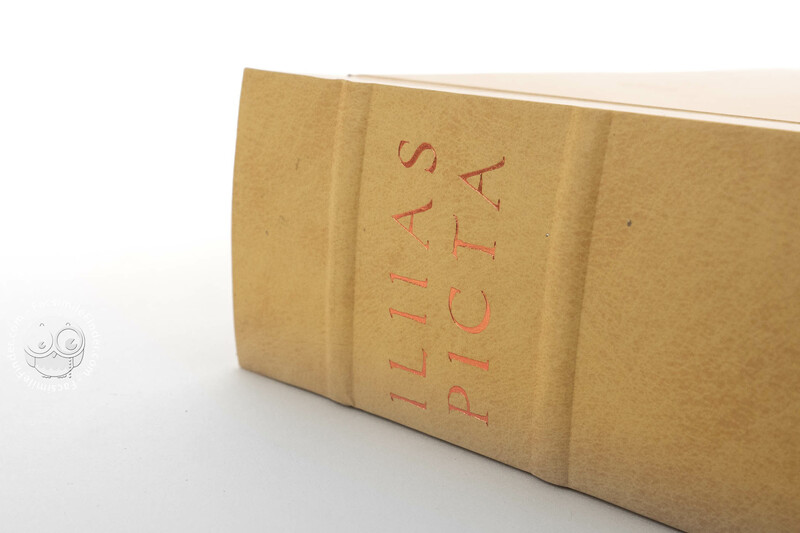 The Ambrosian Iliad, or Ilias Picta, (Milan, Biblioteca Ambrosiana, Cod. 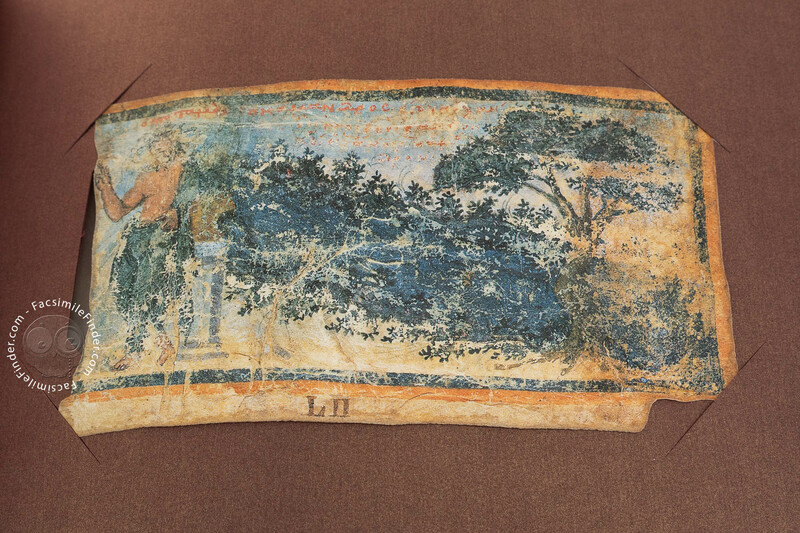 F. 205 Inf.) 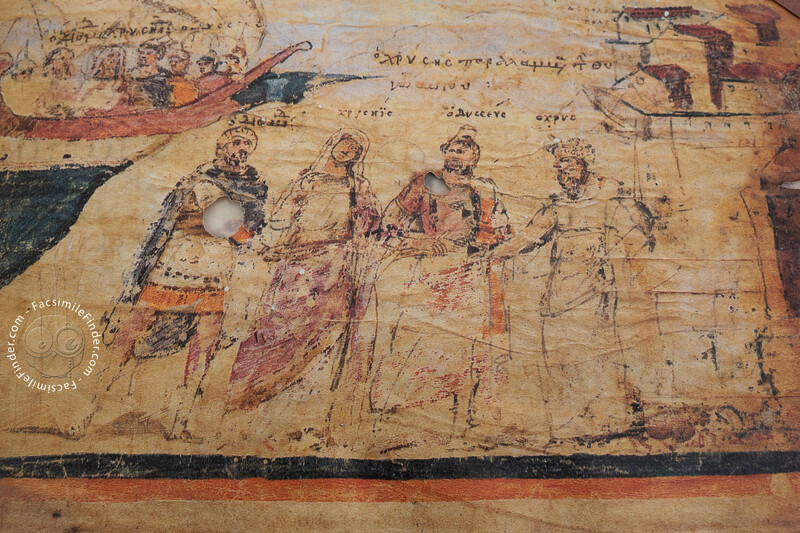 is a 5th-century illuminated manuscript on vellum of the Iliad of Homer. It is thought to have been produced in Constantinople during the late 5th or early 6th century AD, specifically between 493 and 508. 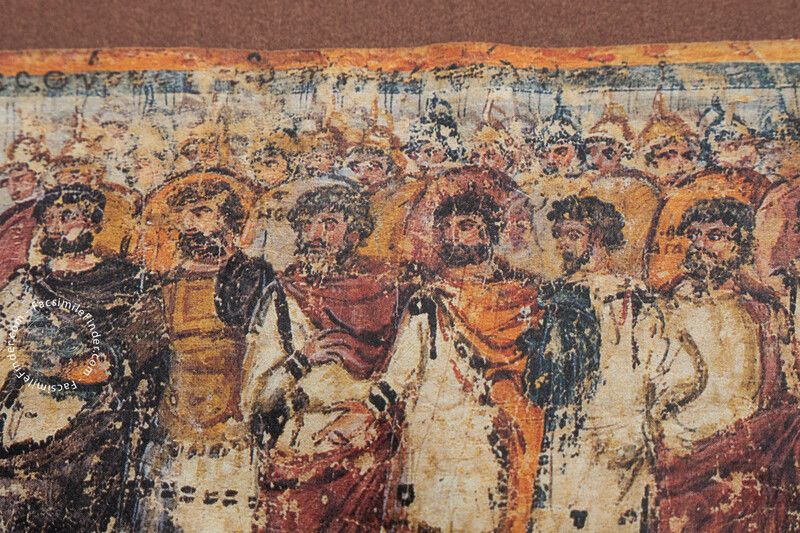 This time frame was developed by Ranuccio Bandinelli and is based on the abundance of green in the pictures, which happened to be the color of the faction in power at the time. 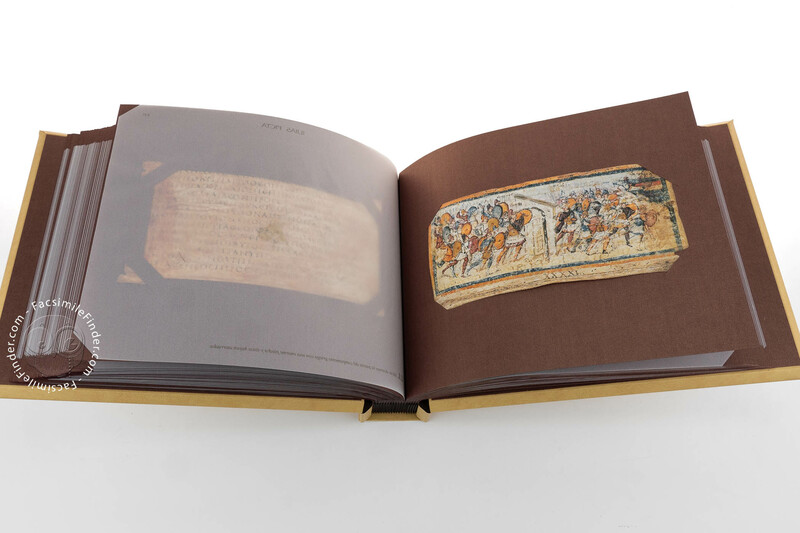 It has since been reduced to a series of miniatures cut out of the manuscript. 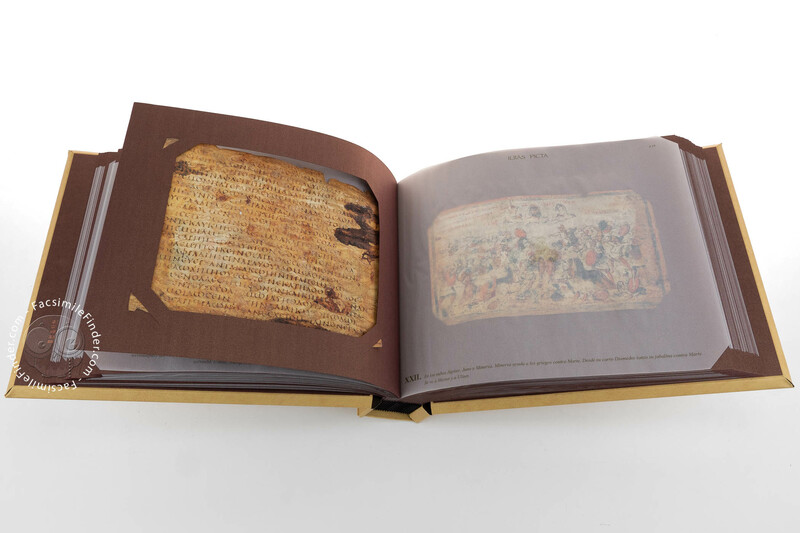 It is one of the oldest surviving illustrated manuscripts. 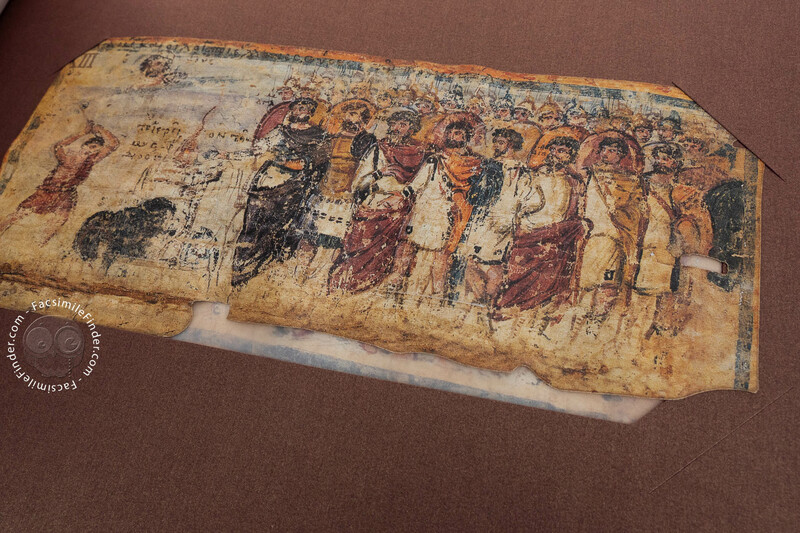 In addition, it is the only surviving portion of an illustrated copy of Homer from antiquity and, along with the Vergilius Vaticanus and the Vergilius Romanus, one of only three illustrated manuscripts of classical literature to survive from antiquity. 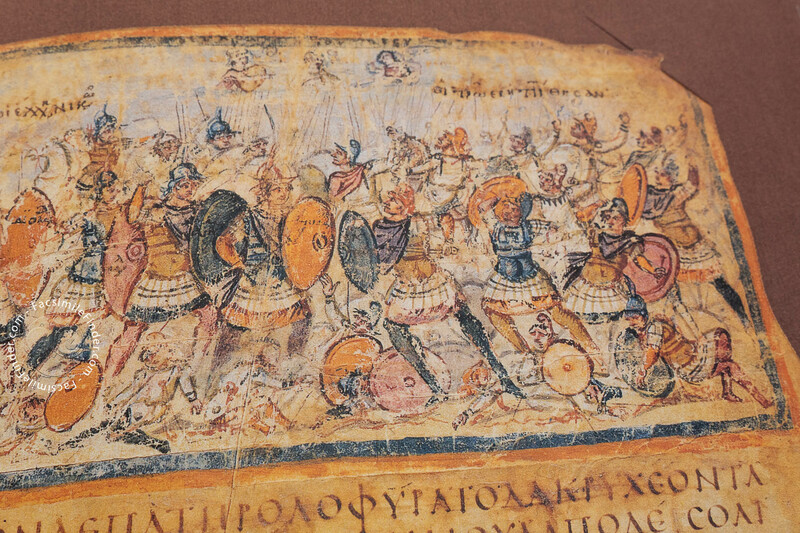 The Ambrosian Iliad "show a considerable diversity of compositional schemes, from single combat to complex battle scenes. 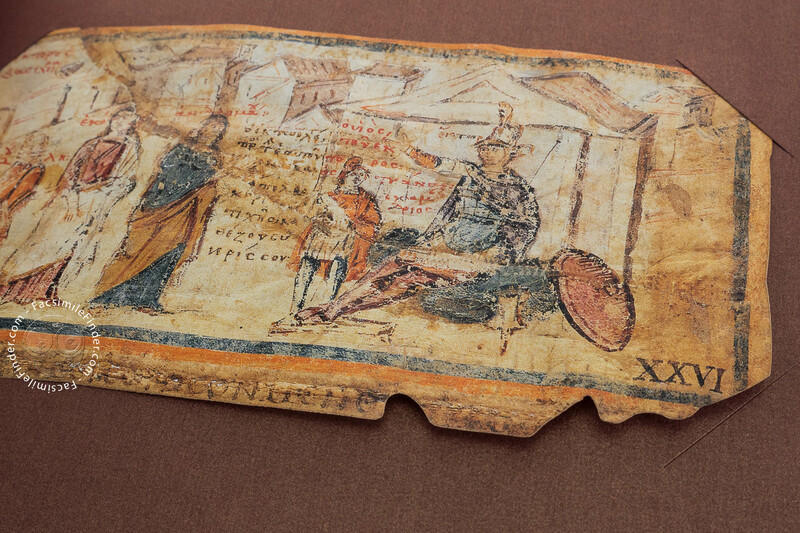 This indicates that, by that time, Iliad illustration had passed through various stages of development and thus had a long history behind it. It seems mere chance that neither an illustrated Odyssey nor any of the other Greek epic poems has survived" (Weitzmann, Late Antique and Early Christian Book Illumination ). 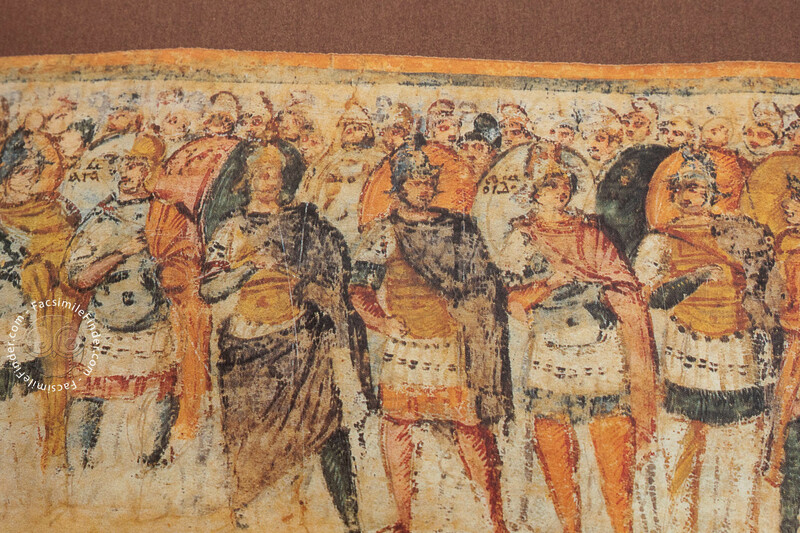 Full-size color reproduction of the entire original document, Ambrosian Iliad: the facsimile attempts to replicate the look-and-feel and physical features of the original document; pages are trimmed according to the original format; the binding might not be consistent with the current document binding. 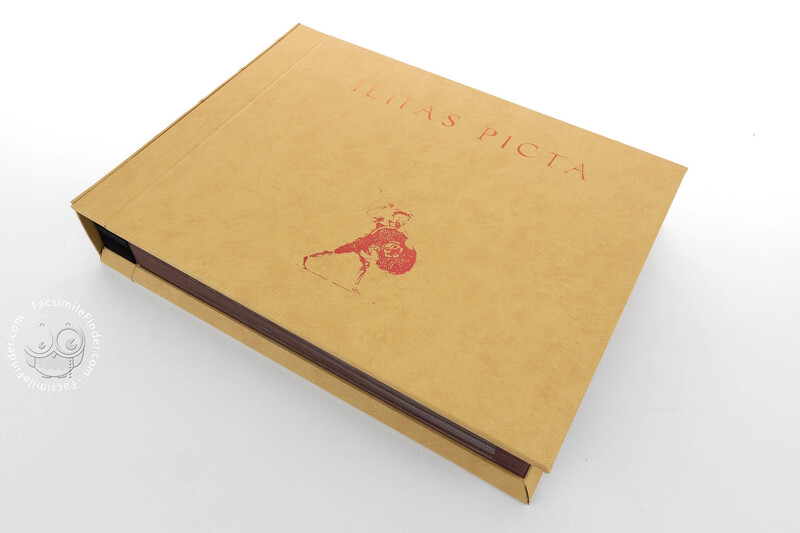 The 52 surviving fragments of the Ilias Picta are mounted in a modern album. 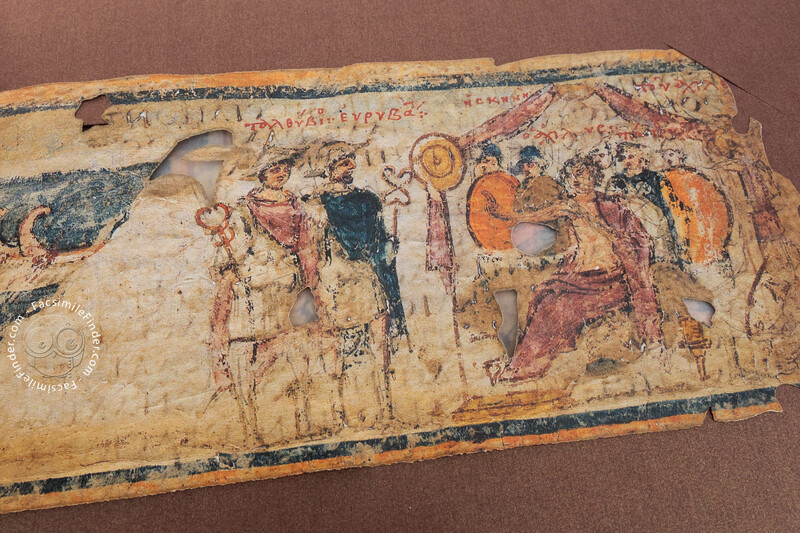 Each fragment may be easily detached from the frame for closer inspection of both sides. 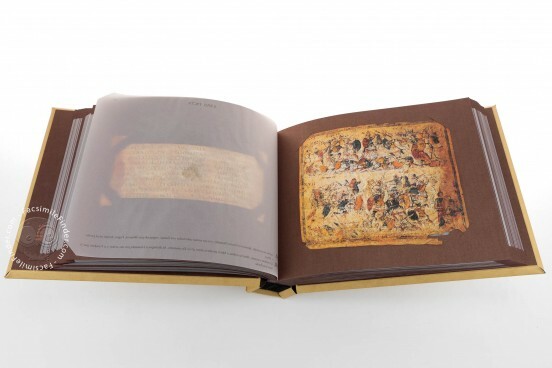 Album pages are interspersed with transparent sheets that bear the description, in Spanish, of the underlying fragment. 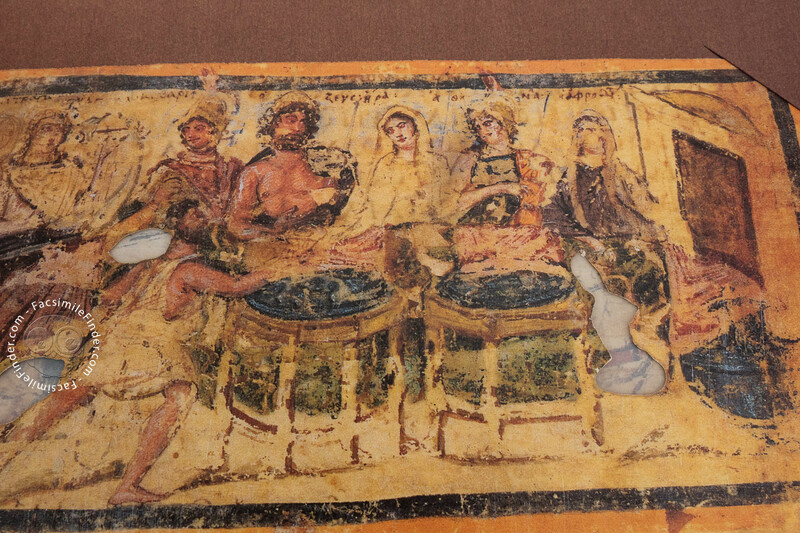 The facsimile has no additional commentary volume.